The award-winning Garfield High School newspaper, The Messenger, offers a unique opportunity to reach out to about 1,900 of the top public high school students from throughout Seattle. The newspaper also reaches hundreds of subscribers, faculty, families, and community members. Garfield Associated Advertisers get 50% discount off total cost. 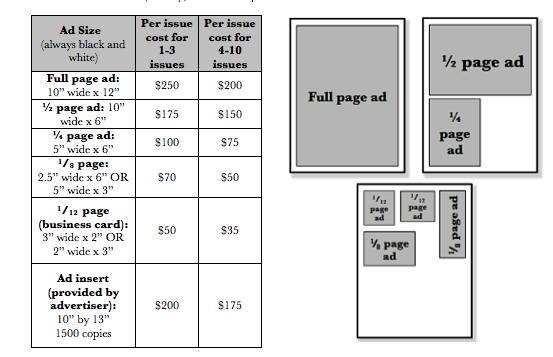 After your ad is printed in each issue, you will receive a copy of the issue as well as an invoice. The invoice will confirm your payment in full if you choose to pay in advance for the discount. Complete and return the enclosed ad contract to reserve your space now!